Raisins: increases energy, helps with digestion, contains oleanolic acid which protects against cavities, increases bone health, decreases body acidity, treats infection, protects eyes, stimulates sexuality, treats anemia, and prevents cancer. Banana: benefits your heart and nerves due to the high dose of potassium, increases the performance of kidneys and bones, acts as a mood enhancer or mild sedative, is one f the highest sources of naturally available vitamin B6, and can help keep you “regular”. Let’s toss them together to make something magical. Directions: In a medium bowl stir together the dry ingredients: oats, cinnamon and salt. 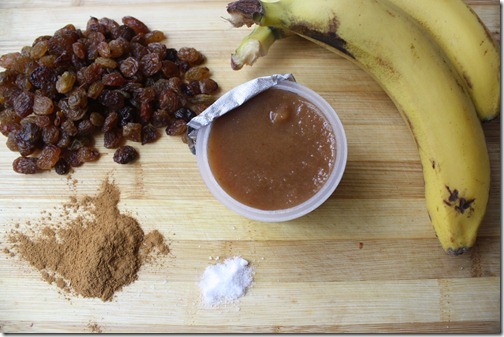 In a separate, small bowl, mash the 2 bananas and stir in the apple sauce. Mix until combined evenly. 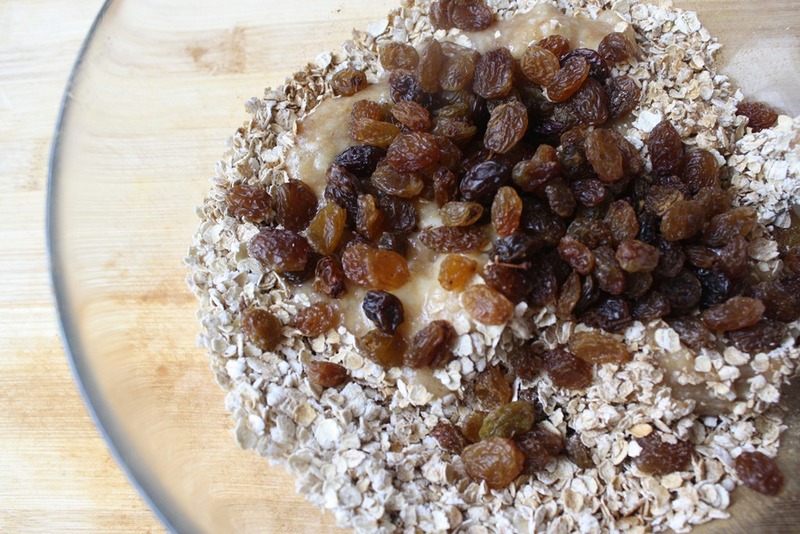 Transfer the wet mixture to the bowl of oats. 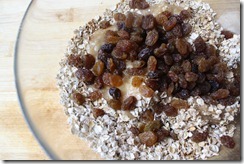 Add the raisins and stir until all is properly combined. Form about 2-tablespoons big cookie shapes. You should be able to make about 10 cookies. I like them on the bigger side, so (1) they don’t get too crispy when cooking, and (2) each serving is enough to act as a breakfast replacement or a snack that doesn’t leave me unsatisfied. 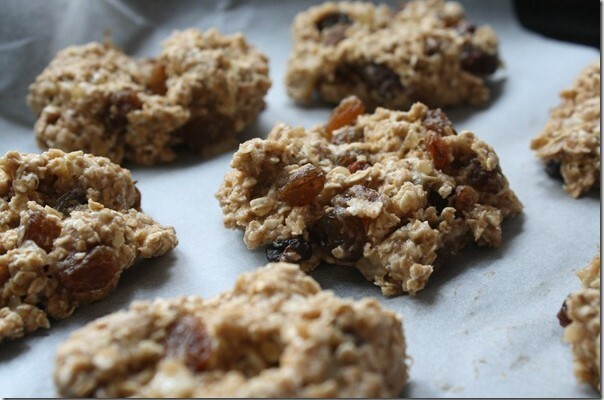 Lay out the cookies on parchment paper and bake in a 350 degree oven for 25 minutes. When done, they will be browned on the outside and set on the inside. Overall, they are soft and light with almost a cake-like texture. This entry was tagged health oatmeal cookies, healthy oatmeal cookie recipe, healthy oatmeal vegan oatmeal cookies, how to make oatmeal cookies, oatmeal, oatmeal cookies, oatmeal cookies recipe, oatmeal raisin cookies, oats. Bookmark the permalink. This is Can. We have met trough Ipek Yakupoglu five years ago. I came up with your blog couple of months ago. I live in The Netherlands for last 3 years. I started rowing here and besides that work out with a crossfit group. When you do sports professionally, choice of your food is very important. So I started cooking and enjoyed it a lot. I am also coaching a first year women rowing team and my friends always ask me what to eat, how to cook. I am trying to give my team and rowing mates how to do a healthy diet. I will start posting some of your recipes (with minor changes due to Dutch food market). Do you also use a tumblr account which I can reblog yours? So tasty! 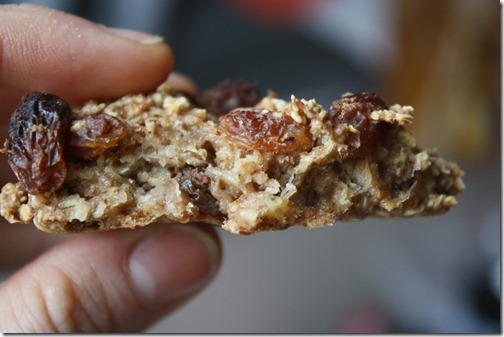 I adjusted the recipe with walnuts, cranberry, and a little honey! Love this!!! my 3 year old, said “mmmm, yummy!” thumbs up all around.. very easy to do.. it’s a bowl of oatmeal “cookie” that is delicious… thanks for sharing! I’ve been making these cookies over and over the last few weeks. 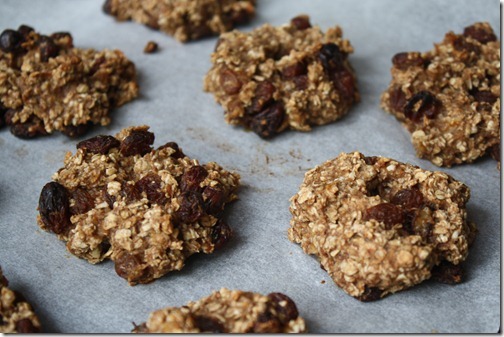 They are SO delicious and easy and I don’t feel guilty after eating them! I often make them as written, but I love that the recipe can easily be tweaked. Lately I’ve been replacing one banana with some canned pumpkin. I just made these and they are fantastic. What a great alternative to a flour cookie. Love it. Thank you! Great cookies! Something I will use for the rest of my long life 😉 I heard someone say “Food doesn’t have to kill us.” I am so gr8ful to be ‘waking-up’ and choosing food that is kind to my body! Bon Appetit Indeed!! 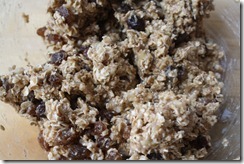 I also adjusted the recipe with chopped dates, sesame seeds, sunflower seeds & flax seeds. Yummy and healthier too! PS I put the flax seeds in a coffee grinder to break open the shells before using them. Otherwise they will go right through you without getting the benefits. 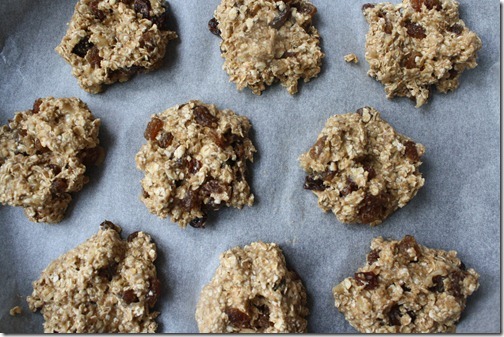 Can you add baking power/soda to puff the cookies up a little. If so, how much? Yes! Definitely you should add 1/2 tsp. baking powder to puff. Which type of oatmeal: quick cooking or regular???? This looks amazing! Definitely bookmarking..
Made these today, very good ! Holy moly you have solved my cookie addiction problem! These are epic! I’ll admit, I made mine way bigger – only 6 :$ haha but wow! What a filling meal! how many calories in one of these? Are these soft/chewy or are these hard/crunchy? Just made these for a personal chef client of mine, and they are winners. I added a 1/2 tsp. baking powder to get some “puff”, and I pureed the banana/applesauce mixer in my blender for a smoother consistency. Great results though. Thank you! I ignore the salt and add 1tsp of nutmeg as well. They turn out AWESOME.